I’ve been an editor longer than I’ve been a writer, and editing is still part of my professional life. In June I posted a piece about the author–editor relationship that featured the views of fifteen wonderful writers from all over the world. Here I’m posting an older essay that gives voice to eight of my editor colleagues. It’s a version of a paper I gave at the Institute of Professional Editors (IPEd) national conference in Hobart, Tasmania, in 2007, which was subsequently published in Island (no. 110, Spring 2007). When fiction editors point out inaccuracies, implausibilities or inconsistencies, they are sometimes met with the incredulous response ‘But it’s fiction!’ It suggests that editors are nitpickers fussing over minutiae that couldn’t possibly bother anyone else. Depending on the tone in which it is conveyed, such a response could be seen as either staking a claim to the superiority of fiction or seriously devaluing it. The first position implies that because fiction is read for qualities other than factuality or accuracy, fiction authors need not address them; the second carries the protest ‘But it’s only fiction,’ and getting it right doesn’t matter in a genre that is about imagination, invention, and playing fast and loose with notions of truth. I reject both of these positions. I’ll start with the second. Fiction authors themselves seldom protest that ‘it’s only fiction,’ but it’s an opinion one does hear from time to time. I heard a version of it, for example, when I was writing a novel [later published as The Sinkings] as the creative component of a PhD in Writing. Why was it necessary, I was sometimes asked, to undertake so much research when it’s only a novel. It’s insulting to writers of fiction to assume that their work will be read without discernment; it’s just as insulting to readers of fiction. Works considered ‘literature’, along with those thought to fall squarely in the category of ‘entertainment’, are successful when they are convincing and credible on their own terms. As for the proposition that ‘getting it right’ is of no great importance to the fiction author because this is not the focus of the reading experience, I would argue that ‘getting it wrong’ can undermine the very qualities of fiction that readers value: compelling characters, intriguing plot, linguistic inventiveness, structural patterning, thought-provoking ideas, the sense of being carried into a world outside one’s own experience. John Gardner, in The Art of Fiction, puts a good deal of faith in reader goodwill, suggesting that where ‘superficial slips’ are concerned, the reader will ‘silently correct’ and move on. But it’s perhaps a risk to rely on such indulgence when readers have so many books to choose from, so many other ways they could spend their time. While continuity errors in films are considered funny, even endearing, errors in books are usually held up as examples of bad writing—or, more often, bad editing. And one person’s ‘superficial slip’ can be another’s egregious error. A colleague tells the story of an irate reader who phoned a publisher to complain that pavlova was not invented until two years after it had been served to a character in a particular book! Whenever a reader’s attention is distracted, even minutely, by a name that doesn’t seem quite right, a date that doesn’t fit with another, an expression that seems wrong for a character, an error of fact—that’s a fracture in the bond between the reader and the text, a moment when they’re disengaging from the fictional world. I remember hearing a lovely expression for this: ‘garden-pathing the reader’, allowing their attention to wander up the garden path and away from the words on the page. The aims of ‘getting it right’ must therefore be cast in the negative—not getting it wrong, not distracting, not fracturing the bond, not garden-pathing the reader—and there’s nothing trivial or nitpicking about that. Rather, it cuts to the heart of the reading experience. Editing fiction is often thought to be instinctive, perhaps even a little mysterious or alchemical, and the practical issues are rarely discussed. I had been mulling over this practical issue of ‘getting it right’ and decided to canvass other editors of fiction about their experiences. ‘Do kids still use this expression?’ is a common query back to authors…One recent manuscript used the word ‘rotter’—I am familiar with this from my childhood reading of prewar British authors but I doubt if many, or any, Australian children know or use it. Errors of tone…are embarrassing. (I’m copyediting something at the moment that is filled with modern children saying things like ‘it’s been donkey’s years’.) It’s complicated by the fact that they’re sometimes subjective calls, and often the hardest thing to convince an author to change. In my experience, this conversation between writer and editor over the intricacies and fidelities of what is, after all, a created world—things that are subjective—is exciting and challenging, but not always successful. I remember tactfully suggesting that it seemed unlikely that a certain character would utter a certain phrase, only to have the author write waspishly at the end of my long note: ‘Well, he did!’ Fair enough. I find myself wondering whether many 25-year-old women wear ‘denim slacks’ these days (especially teamed with a ‘denim blouse’ in the particular example I am thinking of). I recently read a thriller set in late 17th century London in which the characters kept asking each other ‘How was your day?’ This jarred on me because I don’t think this concept of a ‘day’—meaning out and about in public life—was known then. I think the 17th century division between public and private was different to ours. Dialogue was cited as another problem area, with one editor complaining of ‘dialogue that seems like it’s been composed on a keyboard but never been spoken aloud.’ Another gave the example of a character recounting word-for-word a long conversation between two other characters that happened many years before, and at which she was not actually present and had only read about in a letter. Inaccuracies involving chronology, geography and spatial relationships are common. For example, an author I worked with had a character travelling from one Australian state to another and cheerfully cited a distance that would have landed the character in another continent. But there’s also the issue of chronological inaccuracy of plot elements set against verifiable external events: historical landmarks, natural disasters, years when particular songs were popular. Internal chronology can be just as difficult: when I constructed a timeline for one novel, it became clear that one would have to have been married at the age of ten. Sometimes when I mention to an author that I’ve drawn up a timeline for their novel, or a family tree, or a map, they look at me with something akin to benevolent pity—but this simple tool can be so helpful that many authors say they’ll use these tools themselves in future. Of course, they don’t always work! In one novel I observed that the weather was fine and hot one day and on the next the characters were lighting a fire in the living room. I was unaware that the weather in the town where the book is set is precisely this changeable. However, the author, to her credit, understood the point, and made some reference to the capricious nature of the weather in that place to explain what, to an outsider, could seem like a chronological slip. …most authors I work with are perfectionists and think of details that haven’t occurred to me. For example, one author agonised about which version of the Catholic missal to use for a quote in a novel for 10-to-14-year-olds; [and] she researched guns so that she was clear about the range of a pistol as opposed to a larger gun. Most authors (say 90%) have been grateful to be saved from embarrassment, but I can think of three who pigheadedly insisted that it didn’t matter, draft after draft. One had accuracy problems in terms of timeline and geography but felt that only the history mattered. Questioning inaccuracy and inconsistency in fiction can create problems—sometimes even the smallest requests can put an author offside, even in cases where a heavy structural edit went smoothly. This sort of fact-checking can give us a bad reputation—making us seem like detail-obsessed control-freaks who’ve lost sight of the bigger picture. Something I have frequently found: when a seemingly difficult glitch is found, it presents an opportunity for the author to come up with something really original in order to fix it, something the author would never have thought of in the absence of such a glitch. Thus, from a more positive perspective, the identification of infelicities, and the insistence that they be addressed, may be the source of true innovation in writing—invention that arises from necessity rather than merely trying to be clever. When I asked my colleagues why they thought ‘getting it right’ matters, their focus was, as expected, very much on the reader. If a reader is beginning to question anything, I think it does matter, because once you’ve questioned something maybe you’re more likely to question something else. It’s all about suspension of disbelief, and that’s quite a fragile thing. We all know that as a reader, it only takes the teensiest inconsistency or factual inaccuracy to completely undermine the reading experience. As editors, we feel responsible for protecting our beloved authors from this. I tried to tell the author that if smart kids saw the flaws in some aspects of the work, they would not perhaps trust accuracy in other aspects…I feel that leaving loose and wrong ends is an insult to the intelligence of the reader. Imaginative integrity (wholeness and consistency) is important…If a book announces itself as having an actual setting, then the events portrayed should fit that setting. If it is set in a specific period, the characters’ ideas and actions should be consonant with that. Alternatively, the author should make it clear that he/she is playing with or extemporising from history and geography…For me it’s a matter of keeping faith with the reader. I think it’s important to remember that most readers of novels expect not to be misled by what they read, and some readers actively look to fiction for non-fiction information. In novels for children, there is almost always an assumption that there will be some sort of educational benefit derived from the reading. In terms of how the book is received, it matters greatly in reducing the likelihood of bad reviews that may highlight errors in the novel to potential readers. This reflects badly on everyone…and can affect sales. Part of the enduring magic of fiction is the reader’s willingness to trust the author. To carry the weight of that trust, the author must construct a reality that is unshakeable. It can be utter nonsense but it must be authentic nonsense. I work a lot on fantasy titles, and I do have a certain affection for my authors’ ability to say, ‘Ah well, magic did it’. A novel might be comic science fiction and make up all sorts of things to get itself out of tight corners…but these devices have to work in their own framework. Every planet has to conform to the laws of physics unless you create a plausible new set of laws, and then they have to conform to them. And perhaps there are times when too much precision can be a distraction. An author I worked with chose to retain the phrase ‘flakes of lead’ in referring to pencil shavings, even though we discussed the fact that the flakes would actually be of graphite rather than lead. I agreed with her that the term ‘lead pencil’ was sufficiently embedded in language to transcend its own inaccuracy. I had an author who was…very concerned about getting it right and ended up walking along night-time streets with a lantern to ensure that the shadows cast on the wall were similar to those he’d described (and so on, until I began to worry about his mental health)! It can be hard to know where to draw the line. It’s an exercise of judgment—by authors, by editors—on what is going to matter to the reader. The trouble is: ‘the reader’ doesn’t exist. There are many readers. The ones who don’t know and don’t care how many kilometres are between point A and point B when they are enmeshed in a beautifully told story of human relationships. The ones who will throw down a book in disgust if it confuses Apollo 10 and Apollo 11, because they remember exactly where they were and what they were doing on the days each one was reported. The ones who will silently correct, and indulgently forgive, the unexplained change of a protagonist’s hair from long black ponytail to short brown bob. The ones who will take the time to phone a publishing company to point out when pavlova was invented. All care and no responsibility? When considering the responsibilities of editors when it comes to getting things right, a distinction is conventionally made between content, thought to be the sole responsibility of the author, and expression, in which the editor plays an important role. In reality, as the experiences here suggest, the lines are a little more blurred than that. Editors have cited matters of expression such as tone, idiom, dialogue, internal consistency and consonance—but have also given examples involving dates, distances, historical facts, scientific facts, reflecting the way the fictional world often cannot be separated from the real world. What editors do when they’re editing fiction, when they’re engaging with the work and projecting themselves into the reading position, inevitably involves the negotiation of these two worlds and how they intersect. Janet Mackenzie, in The Editor’s Companion, puts it more bluntly: ‘The editor is not a fact-checker: you take all care but no responsibility for accuracy of content.’ If only this could be tattooed onto the writing hand of every reviewer in the country so that they’d stop attributing errors in content to ‘declining editorial standards’! Elizabeth Flann and Beryl Hill are also unequivocal in The Australian Editing Handbook: ‘Accuracy is the author’s responsibility, so if you find errors return the manuscript to the author for detailed checking.’ True, but if an author believes the manuscript is ‘final draft’ when they submit it, are they objective enough to interrogate their work in this way? How can they know what they don’t know? 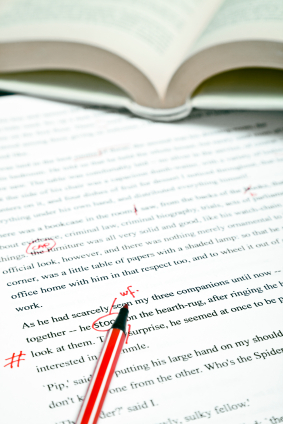 Editors at all stages of the process—proofreaders, too—represent the last line of defence, the author’s backstop, and it’s hard not to feel some responsibility. Bangsund affirmed that it is, adding that one should not trust even little things to the uncertainties of memory…Sims was inclined to think this was admirable though not essential. Others were divided over the matter, largely on account of the time necessary to achieve such standards relative to the remuneration that the publisher is likely to allow. …it is, in the end, a matter for the author. We’ve done our job if we have raised it, and if an inaccuracy is glaring, might affect the internal logic or is likely to expose the author to ridicule, then we have a further responsibility to push harder, but ultimately it’s their name on the book. Perhaps, then, the responsibility of editors lies in raising awareness, especially in new authors, that this matter of getting it right is part of the compact they make with readers when they invite them into the pages of a book, and that it’s to the advantage of all that authors care about it as much as editors—and readers—do. John Gardner, The Art of Fiction: Notes on Craft for Young Writers, Vintage, New York, 1991, p. 4. I gratefully acknowledge the generous contributions of Saskia Adams, Janet Blagg, Annabel Blay, Sarah Brenan, Elizabeth Cowell, Anna Crago, Janet Mackenzie and Michelle Madden, who responded to an email survey. For reasons of confidentiality, authors and works are not identified, and editors’ names are attached only to general comments. Dave Luckett, ‘Gothic novel introduces new horror—sloppy writing’, The West Australian, 1 December 2003. Diana Simmonds, ‘Lovers bogged down in writer’s research’, Weekend Australian, 31 March – 1 April 2007, ‘Review’ section, pp. 8–9. Australian Standards for Editing Practice, Council of Australian Societies of Editors [now IPEd, Institute of Professional Editors], 2001. Australian Standards for Editing Practice, p. 12. Janet Mackenzie, The Editor’s Companion, Cambridge University Press, Cambridge, 2004, p. 60. Elizabeth Flann & Beryl Hill, The Australian Editing Handbook, rev. 2nd edn, John Wiley &Sons, Milton, Qld, 2004, p. 52. Diane Carlyle, ‘Editing: A case study’ (review of a talk by John Bangsund and Bruce Sims), in At the Typeface: Selections from the Newsletter of the Victorian Society of Editors, ed. Janet Mackenzie, Society of Editors (Vic.) Inc., 2005, p. 79.